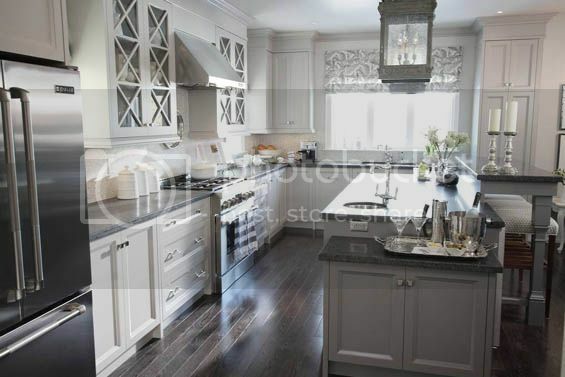 Sarah tends to stick to neutral colors overall, and the effect is soothing & sophisticated. 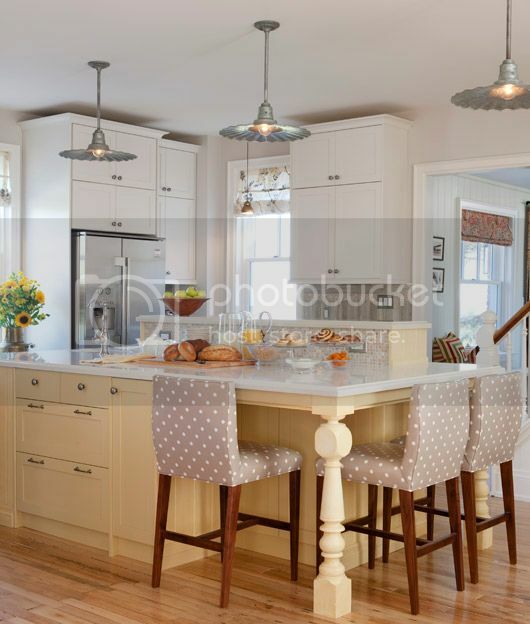 Even if she does inject a dash of color, she'll tend to just add it in the kitchen island or the fabrics, and keep the main elements shades of putty and grey. 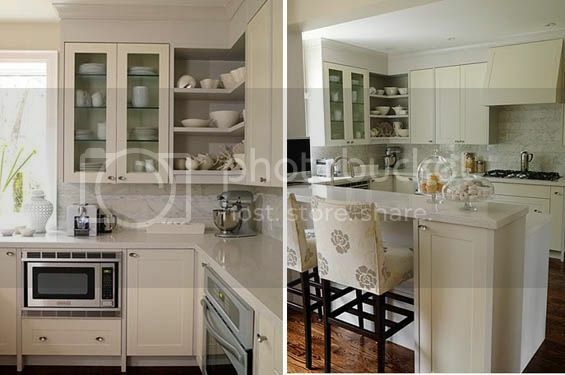 What Sarah loves to do is install 'big box' store-bought cabinets (a particular favorite of hers is IKEA), and give them a custom look by adding trim and mouldings. I think this is a genius idea for those on a budget! She even creates the 'to the ceiling' look by stacking 2 cabinets on top of each other, another great trick. 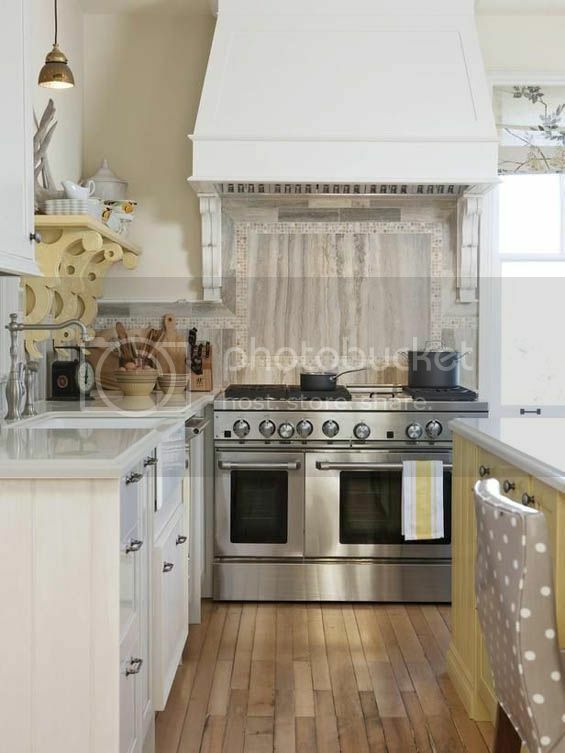 We all know Ms. Richardson is the queen of fabrics, and I love how she brings pattern through upholstery, curtains, and wallpaper into the kitchen. It adds so much softness to a generally hard utilitarian room. 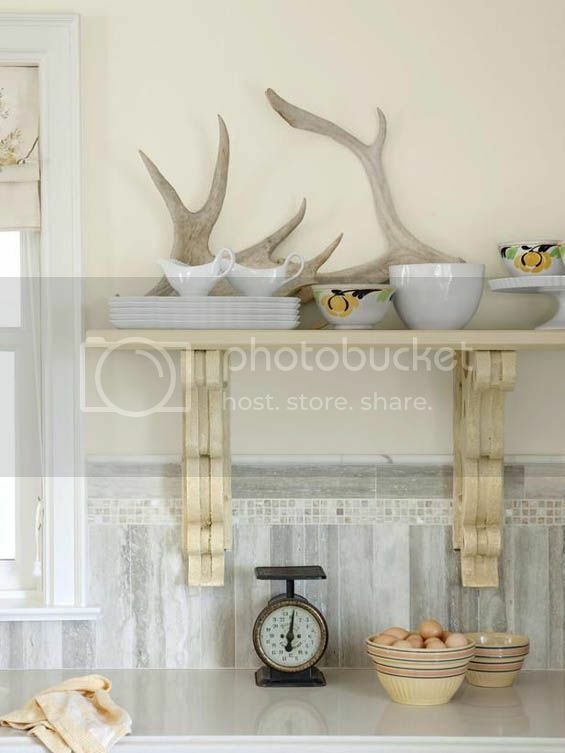 Whether it be a wood-beam island, giant slabs of natural stone, or rustic accessories, you'll always find a nod to nature somewhere in Sarah's kitchen designs. And there you have it! 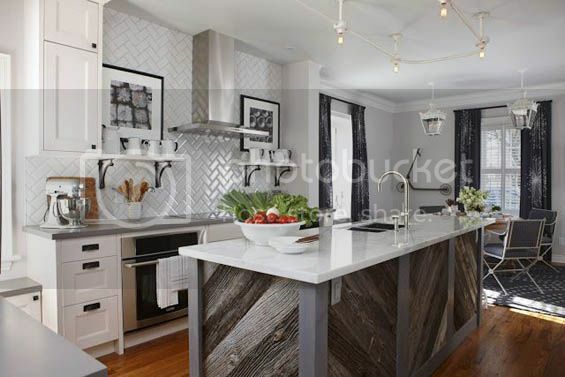 4 key details in each of her drool-worthy kitchen spaces. 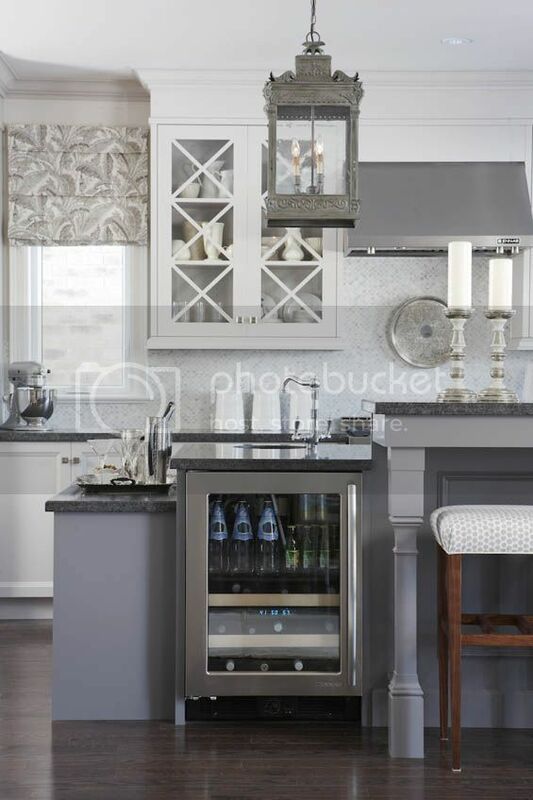 Absolutely love your kitchen ideas! Sarah works magic on kitchens (and everything else). Great roundup! blech. 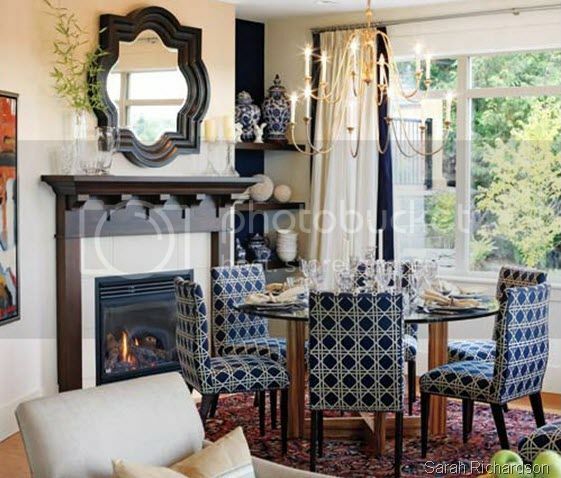 Sarah is truly overrated, a one trick pony who does nothing more than slap some paint on junk shop finds and add some razzamataz upholstery on top. Tommy, now he is a star. In the just world, it'd be his show. I can't get enough of Sarah Richardson! I used to watch Sarah's House constantly. She can stick to the same themes, and still pull out a completely original and unique space. Love it! 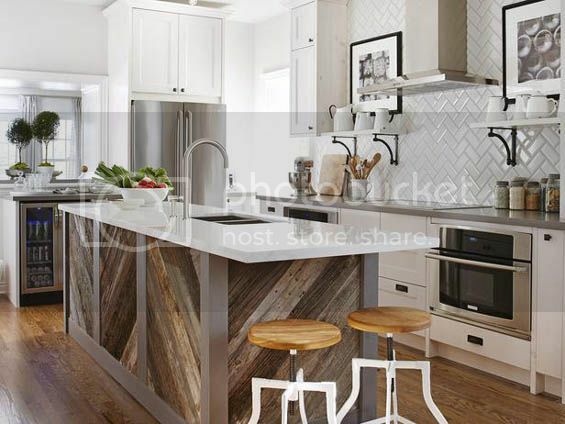 Love the use of white subway tiles in her kitchen designs! She's a genius. Plain and simple. Love everything she does. 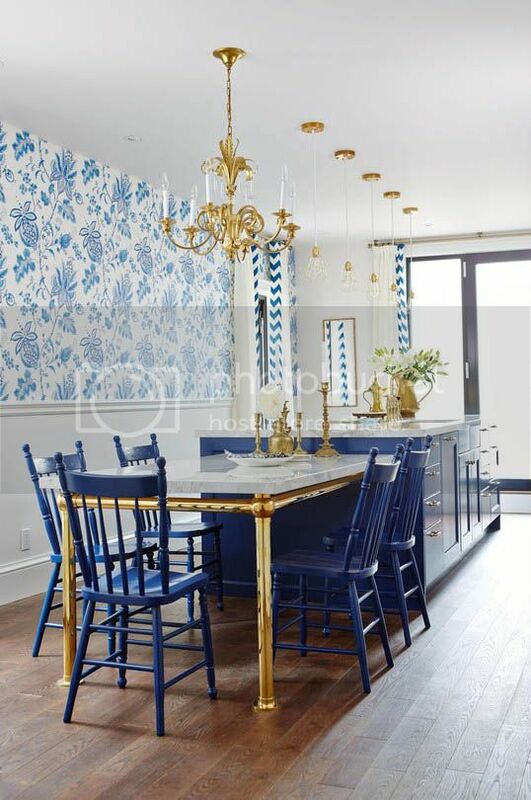 That blue and brass kitchen is insane!